Our vacation home rental was the original farmhouse on the property. 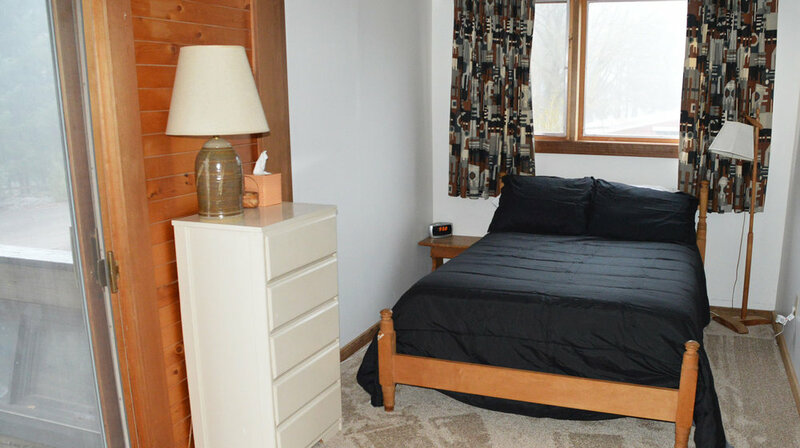 The farmhouse has since been remodeled and enlarged to 3,000 square feet with new carpeting throughout. A large deck, perfect for outdoor dining, is just off the large, well equipped kitchen that has a sunken breakfast nook and bar. There is also a second, larger dining room with views to the south which can accommodate large groups for dining or could serve as a meeting area. The TV room has a south facing bay window and comfy seating. The library has an extensive and eclectic collection of books. The large cozy sunken living room has a fireplace, lots of seating and opens to a large deck with seating and a view of the large landscaped lawn. There is a large hot tub located in a side room just off the breakfast nook. The 2nd story of the home has a large master suite with a king bed, fireplace, and private entry with balcony. In addition there are two other upstairs bedrooms, one with a king bed and another with a full size bed as well as a deck, all w/views. Exterior of residence. 3000 square feet. Wrap around porch and several decks. 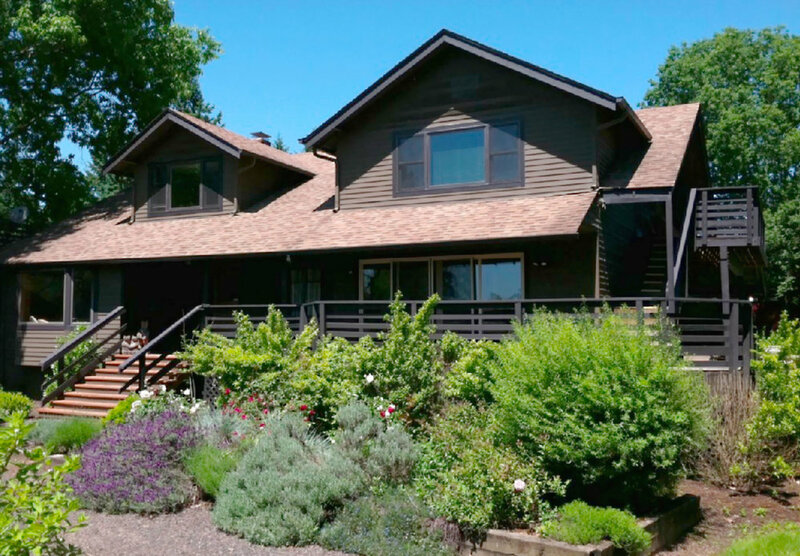 Our vacation home rental is just minutes from numerous wineries and activities in Oregon's Willamette Valley. The Library connects the Family / TV Room with a large Dining Area & Living Room. Comfortable lounging with views of the Hazelnut Orchard. 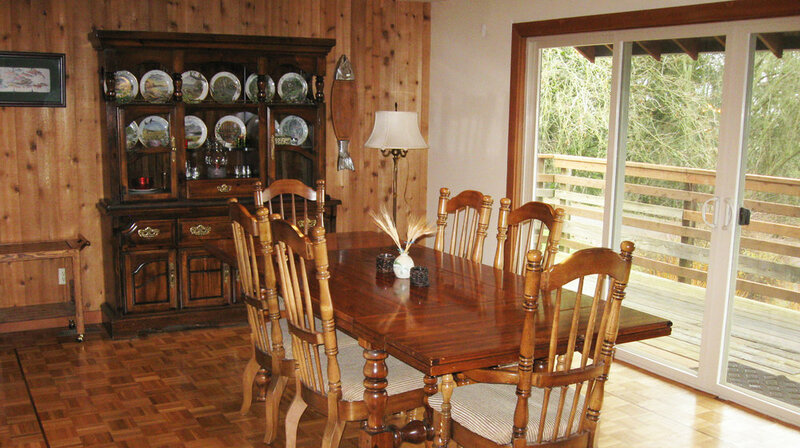 Spacious dining room with sliding doors to a wrap around porch with views of the grounds. 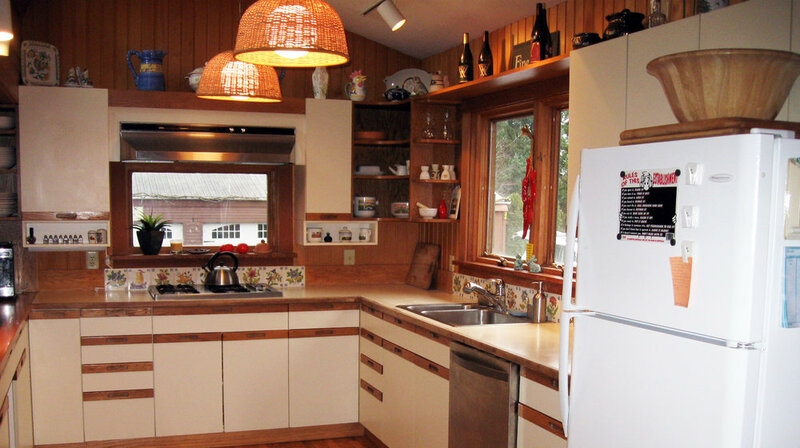 Large complete kitchen with all the amenities and an eat-in breakfast nook. Seating for four at the table and three at the bar. Sunken living room with wood-burning fireplace, piano and doors to a large deck with seating. Large hot tub room off of the breakfast nook with views. Full bathrooms down and upstairs. 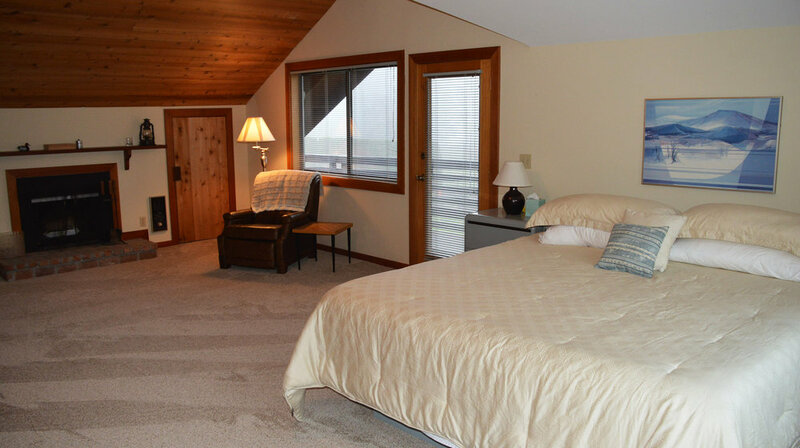 Upstairs Master Bedroom with king size bed, wood-burning fireplace and deck access. "The surrounding grounds are vast and lush, the house is large and inviting with everything you need in the kitchen. Comfy beds and plenty of space to relax." 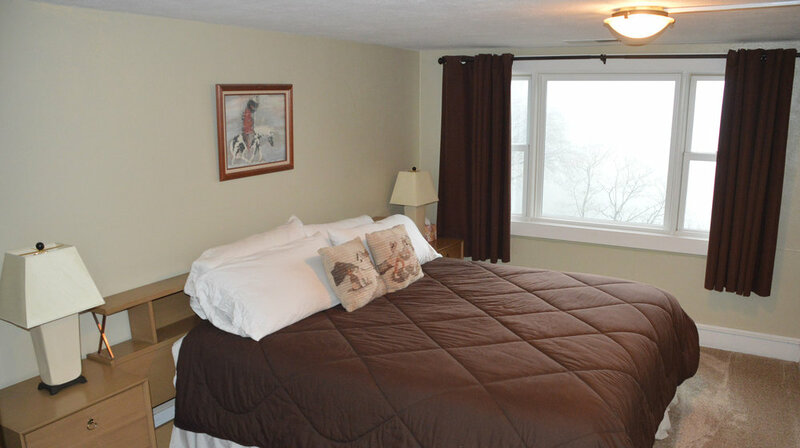 – Evelyn M.
There is a smaller bedroom on the main level with two twin beds. There are 2 newly updated bathrooms, one upstairs and one on the main level. Steps away from the home is an inviting garden, bocci ball court and a basketball court. The large lawn is perfect for weddings and gatherings. The guesthouse is situated on a 200 acre working farm, including 80 acres of hazelnuts (filberts) a 10 acre Pinot Noir/Pinot Gris boutique vineyard. As this property is a working farm, guests will have to be mindful of possible agricultural activities and equipment as well as boarded horses being ridden or driven on the property's roads and trails. Because of certain risks, the property is ADULT ONLY and is not suitable for children. The front entrance of the property is gated and guests will be given a gate code for easy access.